Sweet. Put it in the phone please. 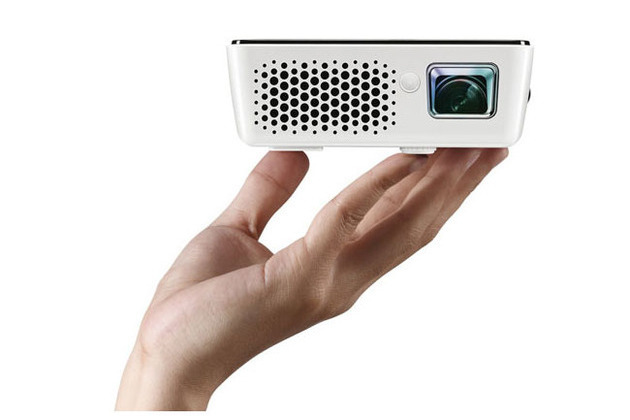 The one-pound BenQ Joybee GP2 projector has all the upgrades you'd expect from a second-generation device — it improves resolution to 720p, and doubles most of the other GP1 specs, with a maximum 160-inch image, two 2W speakers, and a brightness of 200 lumens. Additionally, the GP2 takes far more inputs, with added HDMI support, a built-in iPhone/iPod dock, Mini USB input, and a card reader.